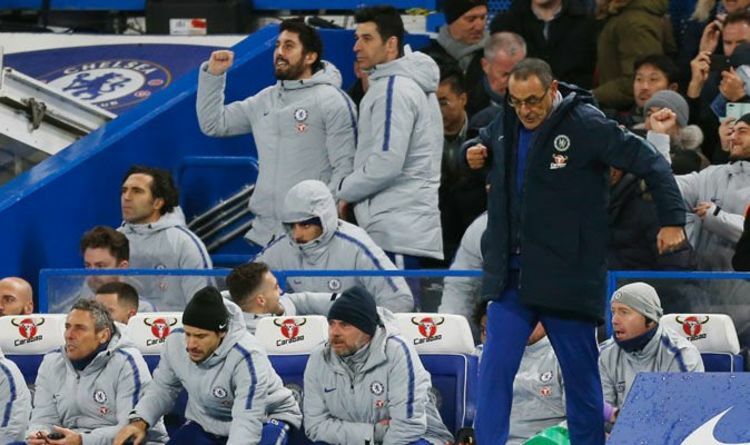 Maurizio Sarri used Hazard in a false nine role against Manchester City on Saturday night – and it worked. The Blues netted through N’Golo Kante and David Luiz to take a 2-0 win to consign City to their first Premier League defeat of the season. Murphy thinks the choice to snub Olivier Giroud and Alvaro Morata and play Hazard in their position was a way to accommodate Pedro and Willian, who are both strong defensively. “You have to give Maurizio Sarri credit because his decision to play with a false No 9 worked out better than it did for Pep Guardiola,” Murphy told the Mail. Guardiola had used Raheem Sterling as his own central striker. “I think Sarri’s decision to start with Eden Hazard centrally instead of Olivier Giroud or Alvaro Morata was as much to do with defence as attack. “Pedro and Willian are quick and gifted but also work extremely hard to close people down. Sarri would not want to leave Hazard out of a big game but he would probably consider Pedro and Willian as better at stopping City build from the back. “Chelsea’s win was a triumph of togetherness and organisation as much as attacking flair. “Cesar Azpilicueta was unbelievable and Jorginho had a great game, having been criticised during the defeat by Spurs, including by myself. Murphy says Chelsea’s win will ‘give everyone hope’ that City aren’t invincible with Liverpool now sitting top of the table. “City have been brilliant for so long we don’t even know how significant one blip is going to be,” he added. “Whereas the Hazard experiment worked for Chelsea, Raheem Sterling ahead of Gabriel Jesus didn’t have the same impact for City.